Partial voltage interfaces have been the mainstream interfaces for high performance integrated circuit products. A conventional partial voltage interface circuit comprises a CMOS driver fighting with a resistor to generate partial voltage signals. Unlike CMOS interfaces, conventional partial voltage interfaces consume large power even when the driver is idle. The driving capability of the driver is confined by the balance between the termination resistor and the driver. Therefore, conventional partial voltage drivers are useful only for a narrow range of loading and distance, creating capacity problems and increasing costs. The UniRAM patented ultra low power chip-to-chip interface circuit, also known as "GreenMOS Interface", provides a natural solution that can solve all the problems of conventional partial voltage interfaces. Using GreenMOS drivers, partial voltages are generated naturally without fighting with the terminating resistors. The GreenMOS Interfaces do not consume power when the output signals are not switching. The dc bias current is completely eliminated while the ac switching current is substantially reduced. The driving power of the driver is no longer confined so the interface is extendible and expandable, improving capacity and reducing costs. GreenMOS Interface technologies have been implemented on silicon, verified on board, and tested on multiple system plateforms. GreenMOS Interface Chip with 28 single-end drivers (fan out of 2) and 2 differential drivers (fan out of 5). 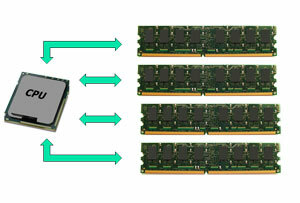 A dual rank 2GB (128M x8) DDR2-800 RDIMM module with GreenMOS Interface chip. 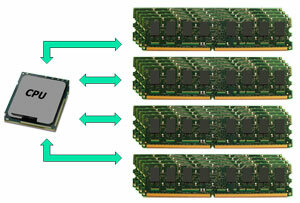 GreenMOS modules are fully tested on Intel & AMD platforms and on Eureka Tester.